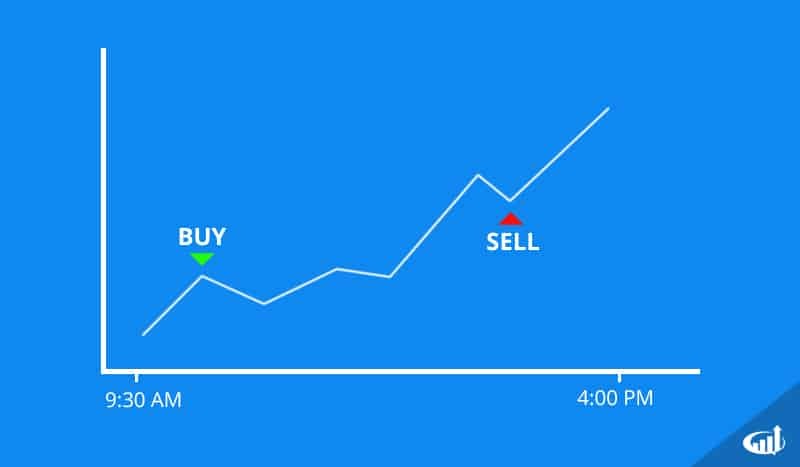 Day traders buy and sell shares of stocks within the same day. Day trading is the activity of buying and selling financial instruments (stocks, bonds, options, futures or commodities) with the intent of profiting from price movements in the underlying security within a single trading day. While positions may be held for seconds to hours during the day, they are always closed out prior to the market close to avoid overnight exposure risk. Entering a position (also known as opening a position) and then exiting the same position (also known as closing the position) is defined as a round trip. For example, buying 100 shares of XYZ stock at $26 and selling 100 shares of XYZ stock $26.30 approximately 20 minutes later. Day trading is a series of speculative round trips executed inside of market hours. Swing trading allows for holding positions overnight to several days. FINRA implemented the Pattern Day Trader (PDT) Rule 4210, which defines day trading as executing four or more round trip trades within any rolling five business day period for accounts with less than $25,000 in equity. This basically means accounts under $25,000 are restricted to three round trips within a five-day period. Violation of this rule can result in a 90-day account freeze. This rule applies to stocks and options. The bottom line is a minimum of $25,000 is required to day trade. Realistically, $30,000 should be considered a starting point to avoid PDT Rule restrictions. Stock brokers will allow traders to leverage their cash to increase their intraday buying power. financial instrument and the broker. 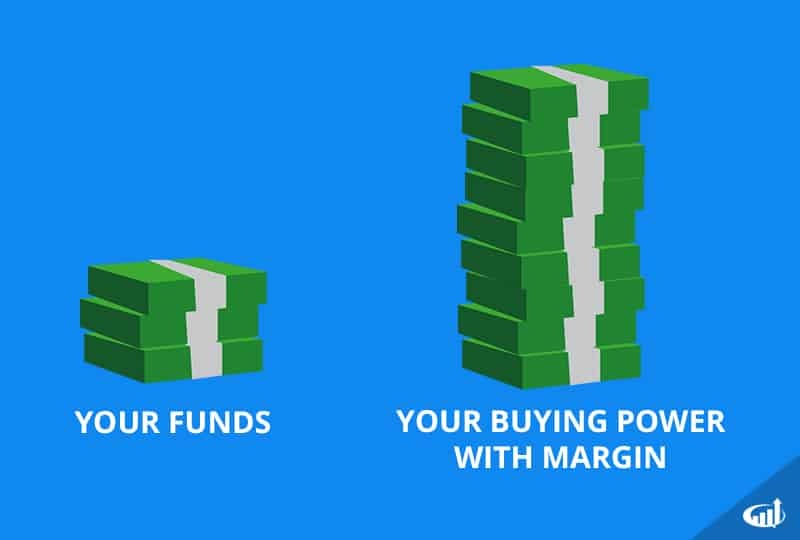 For stocks and options, day trading buying power has a leverage ratio of 4 to 1 or four times the maintenance margin excess in the account. In simpler terms, it means you can purchase stocks and options at only 25% of the price (4 to 1) with the excess cash in the account. Margin excess is the account equity minus margin requirement. Overnight margin is 2 to 1 or 50% of the value of position(s). Day traders can fall into traps when they don’t realize that margin is completely at the discretion of the broker. For extremely volatile stocks, brokers may cut the margin leverage ratio down to 2 to 1, requiring 50% instead of 25% excess equity. This becomes a major factor if an intra-day margin call gets triggered. The broker has the right to unwind a position, often at the worst prices, when a margin call needs to be satisfied. In this case, a day trader may be shorting a stock as it rises higher. The day trader assumes he has 4 to 1 leverage but in reality, the broker set the margin leverage down to a 2 to 1 ratio due to excess volatility. As the stock continues to squeeze higher, the day trader notices that he no longer has margin available to add to his short position. Even worse, the rising stock price triggers an intra-day margin call triggering a forced liquidation as the broker automatically buy-covers pieces of his short position at the highs of the day. The damage result is two-fold. The buying frenzy from margin calls fuels the price surges higher, which means larger losses for the trader and continued margin call liquidation. This is how short-squeezes are formed, usually triggering from margin calls and abrupt unavailability of short shares. The term day trading conjures up painful memories of the technology bubble bear market at the start of the new millennium. Day trading became a cultural phemon during 1997-2001 as the Nasdaq Composite index climbed from under 1,000 to over 5,000 spurred by the momentum from technology and Internet stocks. Stories of day traders earning $5-$10,000 a day caught the media and stoked a whole generation of retail investors to partake in day trading. Initial public offerings (IPOs) common soared triple digits on the open minting overnight millionaires by the barrel. This all came to a bust when the bear market of 2000-2002 hit. The technology bubble burst triggered a massive market sell-off as the S&P 500 index collapsed 58%. Even worse, the technology heavy Nasdaq Composite index collapsed a whopping 78%, from a high of 5,048 on March 10, 2000, to a low of 1,114 on October 9, 2002! The numerous margin call liquidations and horror stories of life savings lost spurred regulatory involvement, like the PDT Rule 4210. Since the technology bubble, the markets have become more efficient with computerization, as auction pits have been replaced with computer screens. Retail broker platforms and tools have advanced to allow day traders to analyze technical and fundamental information with a few keystrokes. While fraction-based price spreads have been replaced with decimal-based penny increments, the commission structure has also been improved. Access to news and information combined with instant fills and order modifications have produced more sophisticated day traders. Algorithm and high frequency trading programs control up to 70% of the market movements. This has provided opportunities for day traders that can take advantage of the price action.